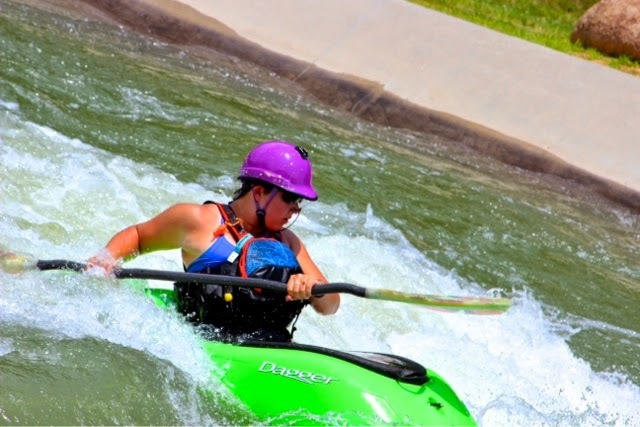 WOMAN OF WHITEWATER WEDNESDAY: Lee Turner! 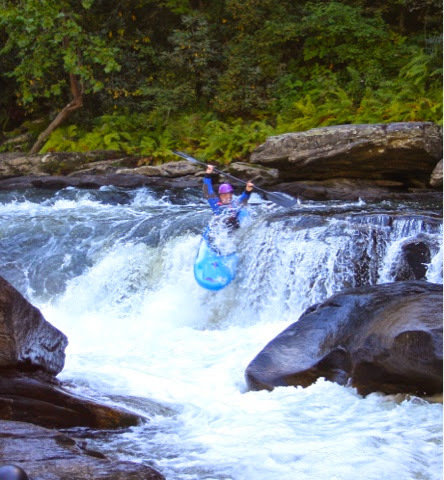 a short autobiography | DBP MAGAZINE ONLINE The World's Best Free Whitewater Publication. 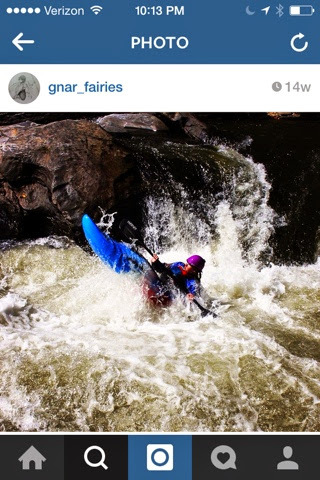 The Dirt Bag Paddlers are honored to feature amazing Women of Whitewater every Wednesday evening, (WOWW) and this week we’ve selected Lee Turner of the Gnar Fairies. Cheers to you, Lee! 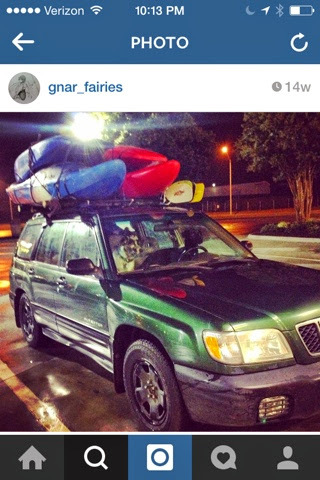 Also, check out their Instagram, their handle is @gnar_fairies. I remember sitting on the banks of the Green River, listening to the rush of its waters. Spiritual isn’t a word I use to describe many things, but the river spoke to me. It became one of the few places I could go that would replenish my soul and make me feel truly whole. To paddle the river, though…To feel one with it, leaves me breathless. ​I grew up in Memphis, TN. Not a whitewater hub by any means. Nevertheless, my parents had an unrivaled passion for the outdoors that they passed to my brother and I. When we were young, they bought a cabin in Todd, NC and introduced us to the wonder that was the Appalachian Mountains. There, the one thing they loved to do with us was kayak. It wasn’t heavy whitewater, but to me it was a chance to understand and learn from the river in ways I had not before imagined. ​Up until college, I had focused on my athletic career. My love for the water and my need for speed had transferred to the ways of rowing. For my first two years at the University of Tennessee in Knoxville, that’s all I did. If I wasn’t at practice, I was in class, eating, or sleeping. Finally, my body finally gave in and I had to retire from the sport I loved. ​Yet, the river still called to me. I felt I had to find my tribe in a sense and joined the UT Canoe and Hiking club, dedicating my time to encouraging others to get involved in the outdoor community. 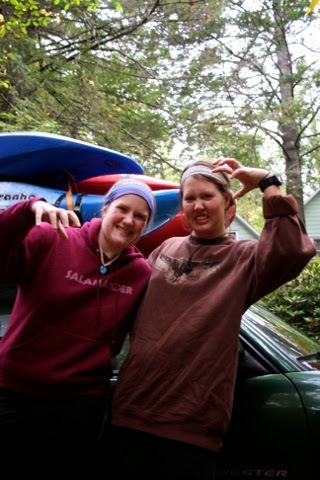 It was this group that inspired me to paddle again. However, my ambitions wouldn’t stop at class II this time. My competitive spirit possessed me still, so I started attending pool sessions and paddled as much as I could. ​One of the biggest challenges for a beginning paddler is the roll. For me, it was something I had to learn completely on my own. It was the only way to overcome any kind of mental block or reservation I was feeling. When I got it, it was the breakthrough I needed. I had an unprecedented courage that I took with me to the river. I pushed my body as far as I could to get better. With every stoke I wanted to prove to myself what I could do in this world. ​In driving myself as hard as I did, I lost hindsight of one of the most important aspects of kayaking, respecting the river. I had never been so sorry for my arrogance as I was when I fractured my leg on the Little River. I had been stupid and swam on a no name rapid, which took me into a rock. 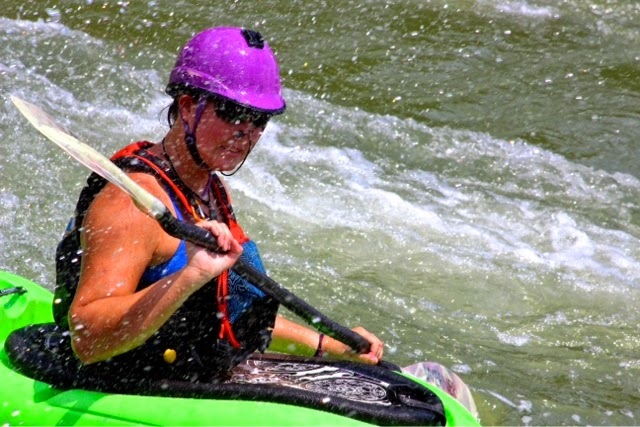 It’s the lesson every paddler needs to learn and river karma got me pretty good. ​The time it took me to recover allowed me to really contemplate my choices and strengthen my bond with the river. I was in this sport for life. My passion would never waiver. As soon as I could walk, I was back out there, learning, watching, and practicing as often as possible. ​Nowadays, I still feel that strongly about what I do. Kayaking has given me a career and countless friends, who I trust with my life. 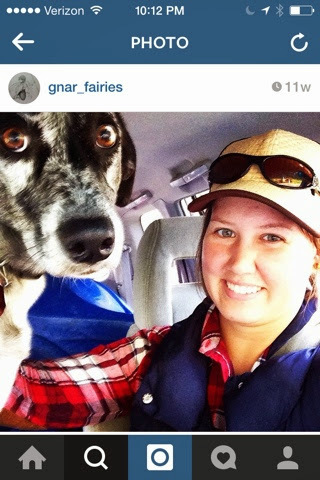 Together with Team River Runner and the Gnar Fairies, I will continue to push myself to my limit. When I look at the Green River now, I don’t just see a nirvana. I see my future. My next goal. I want to give photo credit where it’s due. All of the pics with me in the blue Burn were photographed by Jevon Hamilton and the ones I was in the green Jitsu were by Arlene Blackburn. Editor’s note: please check in every Wednesday for the week’s WOWW, and keep supporting our awesome diverse community! And check in tomorrow to read Lee’s DIRTBAG BOOKCLUB review of WHITEWATER OF THE SOUTHERN APPALACHIANS by Kirk Eddlemon! CHEERS! !